Since 1955, Jan Door has built a reputation of quality and dependability for residential, commercial, and industrial customers in Metro Detroit. Providing sales and servicing for all your Overhead Door, Entry Door, and Garage Door product needs! Sears Garage Solutions is an independent, locally owned company. We take pride in serving our customers with the utmost respect and efficiency. We install Entrematic doors, safely install springs with a 5 year warranty, and Craftsman openers, including Wi-Fi openers that you can operate anywhere in the world! Regular tune ups will insure that your door and springs work at optimum levels for years! *Authorized Clopay Dealer* A garage door has a huge impact on your home. It’s the largest moving part of your home, it’s more than a garage door though, and it’s also the second front door to your home. 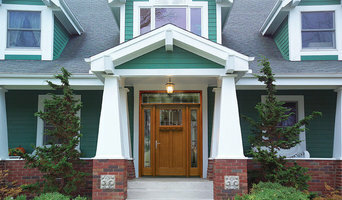 It enhances the curb appeal, energy efficiency, and security for your home. Don’t trust anyone else but the experts at West Metro Door. We are the best garage door repair and service company in the metropolitan area, with the most experienced, professional, and courteous technicians. Our team of garage door technicians will repair all your broken springs, openers, and doors! When you’re ready to give your home a makeover, West Metro Door has highest quality garage doors with variety of design options. West Metro Door can install new garage doors, garage door openers, and garage door accessories to enhance your home’s value. We provide the best value for all garage door-related products and service, and use only the most dependable parts. Contact The West Metro Door today to learn more! You’ll be impressed by courteous repairmen who respect your time and space. Our men are always prompt and come prepared for any job task. No job is too big ( or small ), and we are bonded and insured for your protection. Five Star Door, a privately owned and operated company, provides garage door repair, garage door installation and garage door opener repair/re-placement services to the Detroit Metro area. Established in 1990 by Andrew Mulhinch, Andrew developed strong relationships with his customers by exceeding their expectations of service and value. Andrew state's "We pride ourselves on providing top notch service to our customers. Our uniformed service technician will arrive on-time, in a company vehicle with the parts needed to fix your garage right the first time." Motor City Door Company is a leading Residential Garage and Commercial Door company in Metro Detroit, Michigan. We specialize in the service and installation of upscale Residential and Commercial doors. Family owned and operated since 1978, we’ve been providing top-quality service and support to customers like yourself all over the Metro Detroit area for over 40 years! We consider ourselves problem solvers offering custom solutions for your most difficult door related problems. Whether you’re looking for a new garage door for your home, emergency repair services on an existing door or a dock leveler repair/replacement, we do it all! Proudly serving the metro-Detroit and Ann Arbor area with quality service for over 20 years. Founders Frank and Joann Benedict wanted to create a professional door dealer where customer service is top priority. In 1955 they incorporated the company so growth would be readily possible. We moved to our new facility on Pontiac trail in 2007. 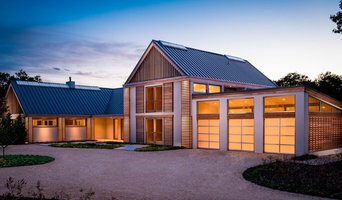 The Doors Inc. is a garage door specialist for residential, commercial, agricultural and industrial applications, proudly serving S/W Oakland, Washtenaw, Livingston and West Wayne. We would love for you to contact us, our team can give you personalized advice in purchasing a garage door, an installation that meets the highest industry standards, and unequalled after-sales service thanks to our maintenance and repair program. Our full range of products also includes electric garage door openers as well as many other accessories to go with your garage door. 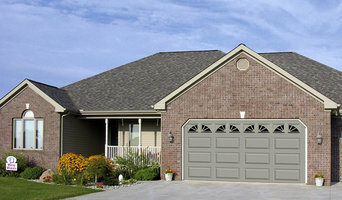 Think of us when it comes to buying, installing or repairing any type of residential garage door. Our employees are ready to give you the fastest service in the industry. We are located at 12880 10 Mile Rd, South Lyon, MI and are open Monday to Friday from 8 AM to 5 PM and Saturday from 10 AM to 2 PM. I invite you to contact us today, and on behalf of our entire team, I thank you for considering our company. L’ingresso è l’elemento dell’abitazione che forse salta maggiormente all’occhio; in più separa lo spazio interno da quello esterno. Se pertanto sei in procinto di cambiare la porta d’ingresso è essenziale non solo considerare l’aspetto estetico ma anche quello della qualità e soprattutto della sicurezza. È importante dunque rivolgersi a un professionista. Dopo aver fatto un sopralluogo della tua abitazione ed effettuato un rilevamento delle misure, egli ti illustrerà le possibili soluzioni. Una di queste può ad esempio essere la porta blindata: l’esperto ti consiglierà in merito alla classe di resistenza all’effrazione nonché alla trasmittanza termica, l’isolamento acustico e la tenuta alle intemperie più adatti alle tue esigenze. Non per ultimo ti aiuterà a scegliere il rivestimento della porta blindata Detroit, MI più adatto alla tua abitazione.